Remember when we told you about that magnificent Frankenstein creation which turned one of Microsoft’s Xbox One consoles into a functional and uniquely powerful laptop? 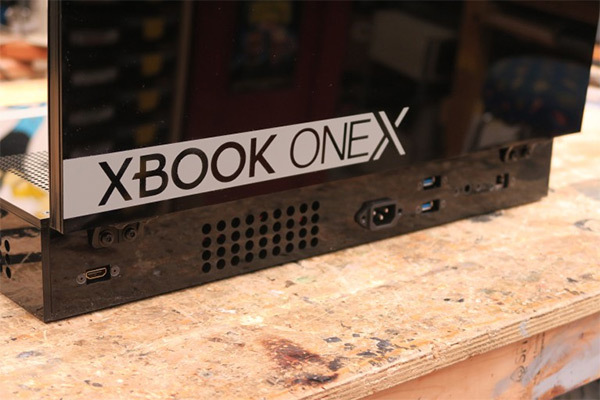 Well, the creator of the laptop is back again, but this time, with the latest Xbox One X being at the core of his latest creation called the Xbook One X which sits at a an eye-watering price tag of $2,495. Microsoft has had a great deal of success where Xbox One X is concerned. It’s managed to almost immediately cement itself as one of the most powerful and successful consoles in the world, competing against the older Xbox One, and, of course, Sony’s PlayStation 4 series of hardware, which includes the PS4 Slim and PS4 Pro. 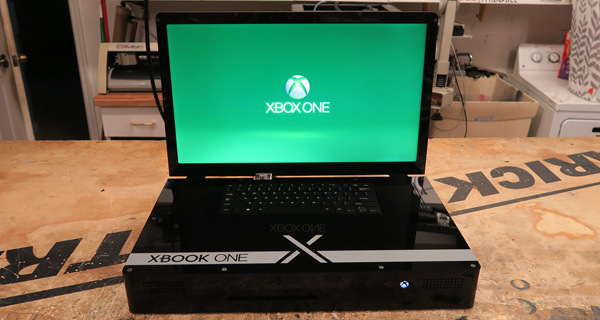 However, anyone can own an Xbox One X, but can anyone purchase and own a modified version of Xbox One X which also functions as a laptop? Well, if creator Eddie Zarick has his way, then parting with $2,495 will allow you to do exactly that. 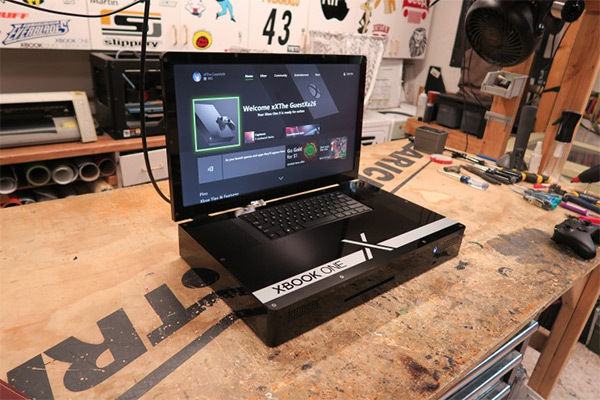 This creation of madness is essentially the Microsoft’s Xbox One X which has been modded and turned into a laptop. The hardware comes with a 21.50-inch 1080p display attached to it, which is an improvement on the initial Xbox One attempt to include a 19-inch visual outlet which only sat at 720p, but it also means that you wont be able to take advantage of 4K goodness of Xbox One X. The laptop, though, includes a physical keyboard as you would expect which lets users navigate around the Xbox UI easily, and also offers support for Microsoft’s Xbox One wireless controllers. All of the original I/O ports are still offered and accessible on the rear of the Xbox One X, save for one single USB port for those variants which include the aforementioned physical keyboard. If you find the Xbox One X a little tedious and want to own something that isn’t readily accessible to everyone, then Zarick is offering to build those units on a per-sale basis for $2,495 with an initial $1,000 deposit. Those who want the unit can choose from a white or black exterior with a choice of color for the various accents on the device. Anyone interested in the Xbook One X can head on over to Zarick’s website at edsjunk.net/wordpress/xbook-one-x-laptop/ and take a look at the additional details and conditions of sale, which includes a shipping fee and the aforementioned non-refundable deposit. 4K Xbox and yet not a 4K screen, what a total waste of time and money.